In a recent post titled, ‘Ornately Decorated Handpan’, we made note of the fact that in recent years, many Handpan makers have been gradually edging towards making instruments that are (arguably) as attractive to the eye, as they are to the ear. Something that feels to be a natural progression, and was a path that even PANArt themselves trod through each subsequent generation of Hang. With later generations coming with such refinements as being brushed in brass. And having more decoratively-styled central notes (dings) - than earlier generation. 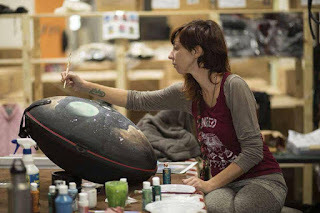 And this trend towards the more aesthetically pleasing, has not been limited to the instruments themselves, but has also been applied to Handpan accessories. 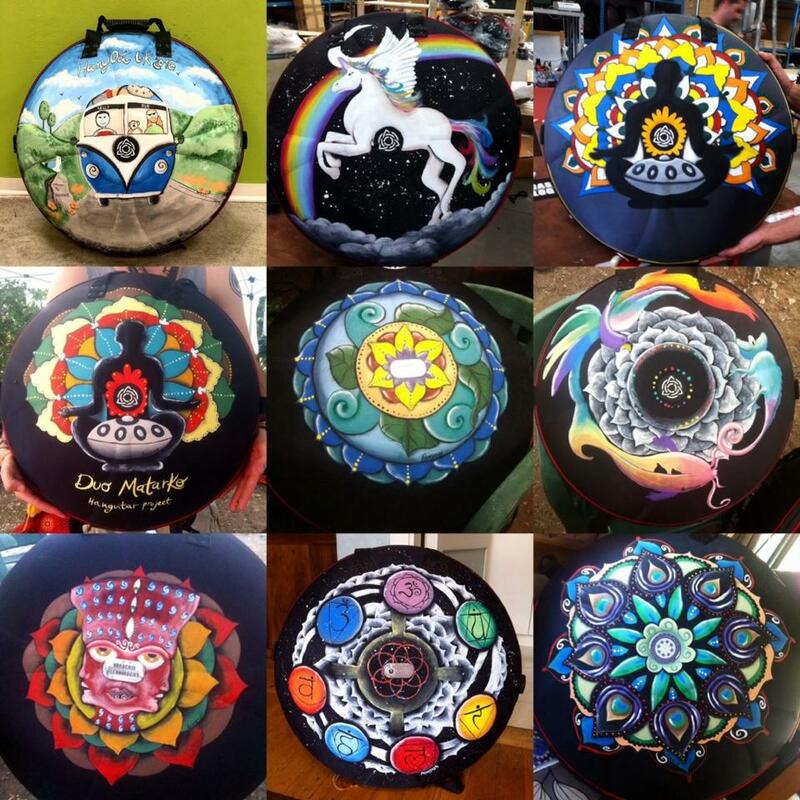 As can be seen in the growing number of examples of Evatek Handpan cases (as made by Hardcase Technologies) being transformed from the purely functional, into works of art in-and-of themselves. Probably the biggest name at time of posting in Evatek artwork is Pam Gogh Marinelli, some of whose work you can see in the picture above-right. Pam appears to work hand-in-hand with the manufacturers of the Evatek cases, Hardcase Technologies, under the title of "Evatek Design". With each piece of Evatek art being hand painted with Acrylic non-toxic colors. 100% Waterproof and scratch resistant. With customised artwork using your own ideas and images also being an option. For more information on Pam Gogh Marinelli, and examples of her work, you can find her over at Facebook: HERE. Or via her website: HERE.